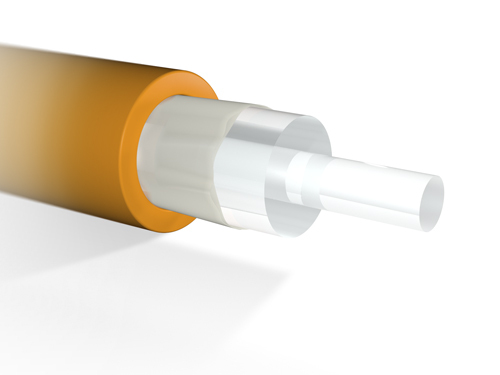 Fiber optic cables for indoor applications are suited for assembly with all standard connector systems. Indoor fiber optic cables have different outer diameters: 2.2 mm, 2.5 mm, or 3.0 mm. They are suited for assembly with all standard connector systems. The SI200/230 fiber with a numerical aperture (NA) of 0.37 is normally used in indoor cables. Fiber optic cables with other fibers are, of course, also available. Simplex cables are used for point-to-point connections. 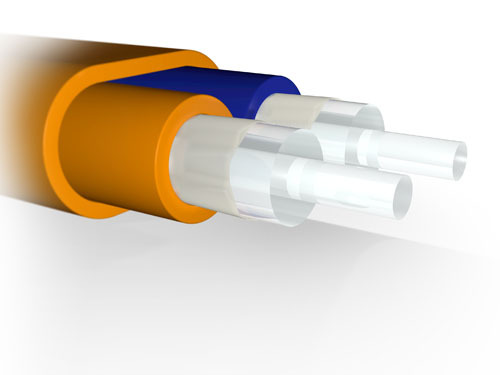 These cables are delivered with different fibers; the most commonly used diameters are 2.2 mm, 2.5 mm, and 3.0 mm, which are frequently available in stock. Zipcord and duplex cables are similar to simplex cables in their assembly. One cable contains two fibers that are used for bidirectional or unidirectional duplex operation. The standard dimensions are 2.2 x 4.6 mm and 2.5 x 5.2 mm. Multiplex/breakout cables contain several fibers inside the cable. The cables can be used both as indoor and outdoor cables.